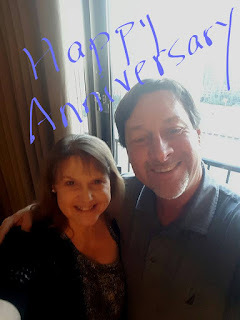 How do you celebrate 11 years? Flowers, stainless steel, gift cards, Pink Floyd Dark Side of the Moon laser show, dinner at Del Frisco's, adult beverages, and a night at the Westin Oaks. Many happy more to you! We celebrate our 44th on Friday. Wow!